Take a ghostly tour of Texas and discover what creepy tales lay hidden in its old buildings and gloomy corners. Meet Wanda, the permanent ‘‘resident’’ of Bruce Hall at the University of North Texas. Discover the haunting tale of the ghostly woman roaming the shores of White Rock Lake. Dine with unseen spirits at the Catfish Plantation. Accompany ghost investigators as they uncover surprising evidence of the paranormal, and get the lowdown from both sides as both an internationally well-regarded skeptic and a university professor share their experiences. 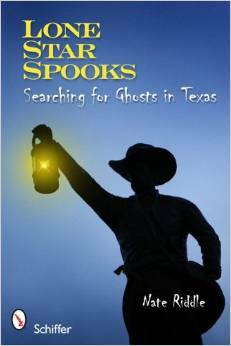 So grab a flashlight, wear your ten-gallon hat loose, and keep your mind open…because the ghosts of Texas are waiting!